The lossy vs. lossless debate is endless. However, I can see no reason to set one against another. The two formats offer distinctly different features, and serve distinctly different purposes. The last article discussed the choice of the format as a function of intended use; the idea applies to the choice between lossy or lossless formats entirely. A lot depends on your source files as well. Read along to make the right choice. What’s Lossy? And Why Lossless? Lossless audio formats, by definition, compress audio in a way it can be decoded exactly matching the un-encoded original. Think of lossless audio codecs as ZIP or RAR archives – only containing audio information instead of documents and other stuff. Audio compressed in a lossless format takes way more disk space than a set of, say, MP3 files. Lossy audio formats include MP3, OGG Vobris, AAC, WMA and lots of others. Audio compressed with a lossy codec can be only decoded approximately resembling the original. How close the decoded audio resembles its un-encoded original by the ear depends entirely on the quality of the format itself, file’s bitrate, and the quality of psychoacoustic model employed by the codec. If your source audio files come in a lossy format (AAC, MP3, OGG, and over a dozen other contenders), you should be really, really careful. Of course, you can always convert MP3 files into a lossless FLAC, but whatever audio compression artifacts were present in that MP3 file will remain in the FLAC file – accompanied with a much larger file size. With no two audio decoding engines alike, you won’t get exact same sound when converting from a lossy format with different tools. And if, at a later time, you want to convert those resulting lossless files into something more practical – like MP3 or AAC, – you’ll be losing audio quality, introducing new compression artifacts. All this is to say one thing: try keeping source audio files in their original format even if you want to convert them to a lossless format. A golden rule when converting from lossy formats: only do this when absolutely necessary. Whatever demands the conversion should dictate the target format. For example, if your MP3 player only plays back MP3 files but not OGG or AAC, it is normal to convert incompatible formats into something that can be handled by your audio player. 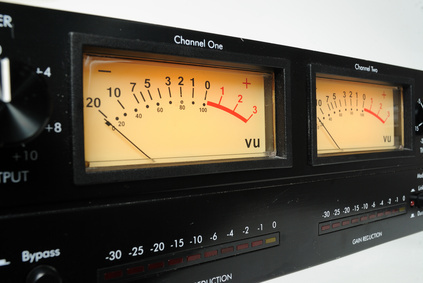 But do keep the originals – they still have better audio quality than re-compressed files. AudioConverter Studio supports a wide range of lossy and lossless audio formats including everything discussed here. 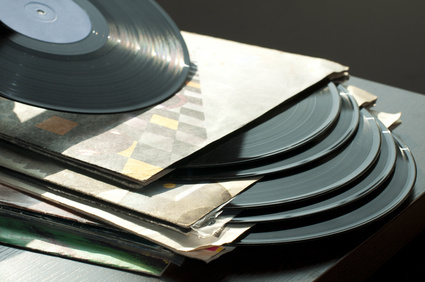 Building a Music Library: Going Lossless? If you’re about to store all your music in a single format on a home PC or media center with a large hard drive and lots of free space, you may want selecting one of the lossless formats such as FLAC. Lossless audio formats are easy to recommend: they don’t need any special settings, you don’t need to worry about bitrates, and you can always convert lossless files into another lossless format without losing a single bit of audio quality. The downsides of lossless formats are obvious: lossless formats require much more disk space than any of the popular lossy formats. A typical tune in MP3 format may only take 5 MB of disk space, while the same tune in a lossless format can easily occupy four times as much. If you only listen to your music using a portable audio player, it may be reasonable to convert audio files into a carefully chosen format with the right bitrate, sample rate and compression settings. More on those later.